Features: Big Italian leather briefcase, double gussets, Magnetic snap closure, Two external open pockets, Two pen holders under the flap, Internal large zippered pocket, Zip pocket small, Internal pen holders, Brushed brass hardware, Padded hand-held handle with a 2.5” drop, Adjustable straps: Maximum drop of 19” Minimum drop of 17” . 100% Made in Italy, high quality product. SHIPPING WORLDWIDE for all our bags! 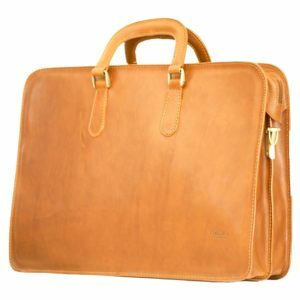 You know, a leather briefcase for men is much more than a simple accessory, a leather briefcase bag , your Italian leather I Medici briefcase is an extension of who you are and what you believe in. 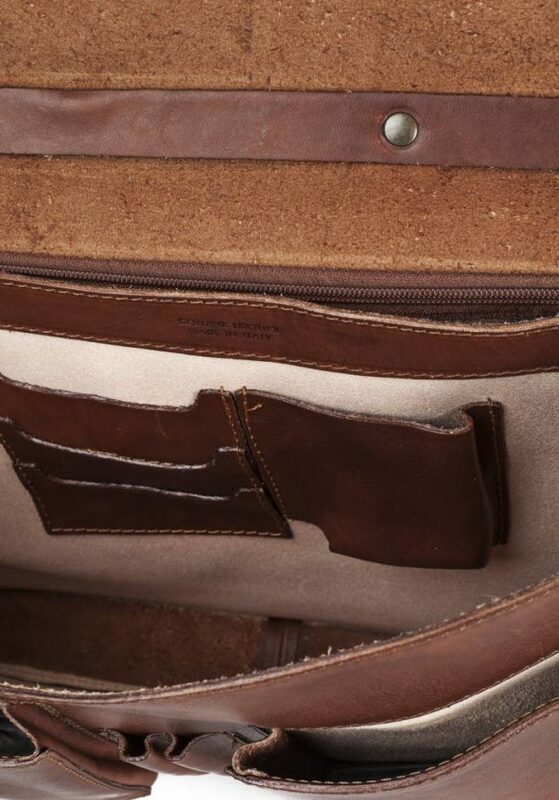 When we craft our leather briefcase bags for men, they are designed to securely house what’s necessary for taking care of your business (and our history of excellence). If that’s a laptop, great. If that’s a laptop plus all your classic shave set, even better. 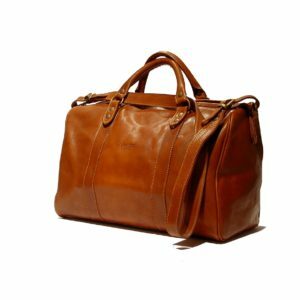 In this bag You will love the smell of real Italian leather, you will be fashioned by Italian style and you will fill naked without it! 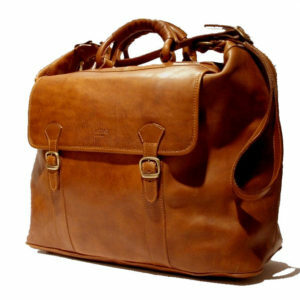 That is why I Medici Italian leather briefcases and bags are the best. This beautiful leather briefcase for Laptop is a quality bag by I Medici and has a typical old school vintage Italian look. This is the ideal bag companion for the man who has a strong personality, who likes to be elegant but in a non conventional way! 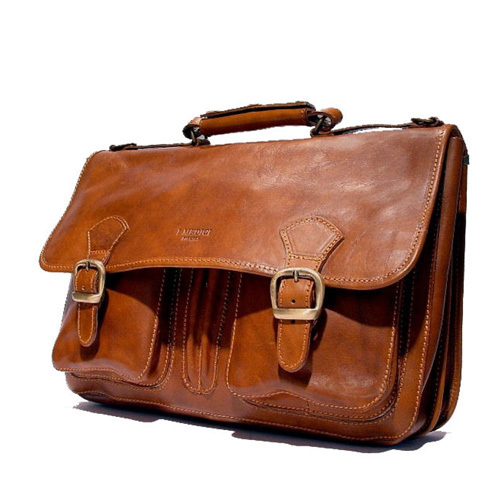 This I Medici Firenze briefcase designed and created in Florence is also a perfect gift for your son or friend as first ever briefcase; no doubt it won’t disappoint him! The straps on the bag allow you to carry it in your favored style – on the shoulder, in hand or as a sling. 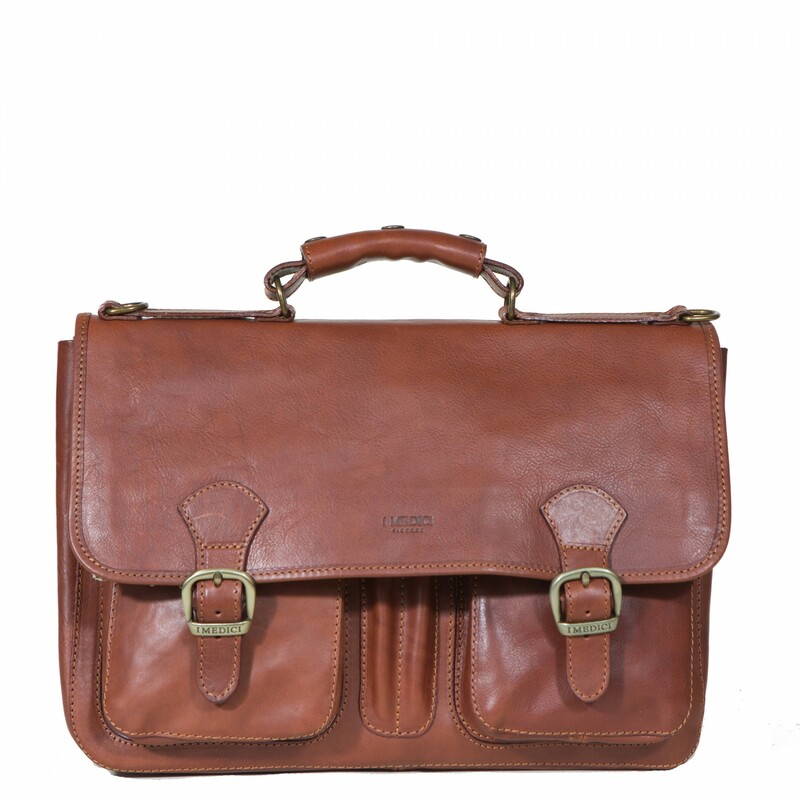 We are sure, this Old School bag will be your favorite leather bag partner. We know the reality: you will never go back after using one of this leather bag because when you choose this way of life, when you choose your style, when your day by day activities are done with the right pleasure and you taste the best quality of Italian style you can never do without that leather bag by I Medici anymore.